We are very excited to announce the launch of our new website at www.levineperio.com. Our goal was to create a website that is a reflection of our modern office design and practice philosophy. 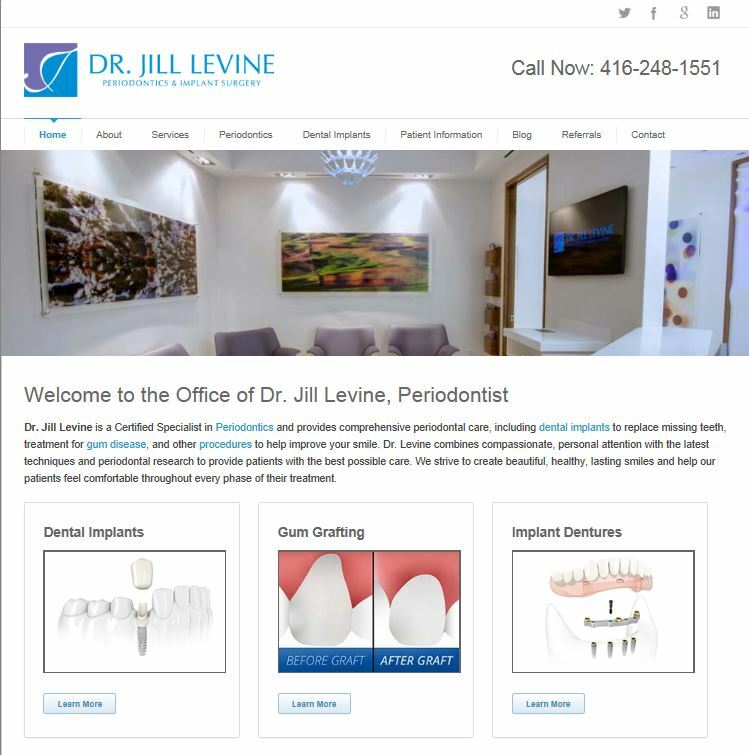 The site will help existing and prospective patients as well as referring dentists to easily find the information they need. It is designed for optimal viewing experience on all devices including smartphone, tablet or PC. Social networking icons to help patients stay connected with us in various ways. Follow us on Twitter, like us on Facebook, or add us on Google plus. A new blog section where we will post practice news, articles or anything we think will be of interest to patients and referring dentists. Re-organized and simplified menu to make it easier for users to quickly find the information they are looking for. An updated services tab where you can easily access a comprehensive, but simplified overview of the most commonly performed periodontal procedures. We hope you find the changes useful! We welcome your feedback at [email protected].